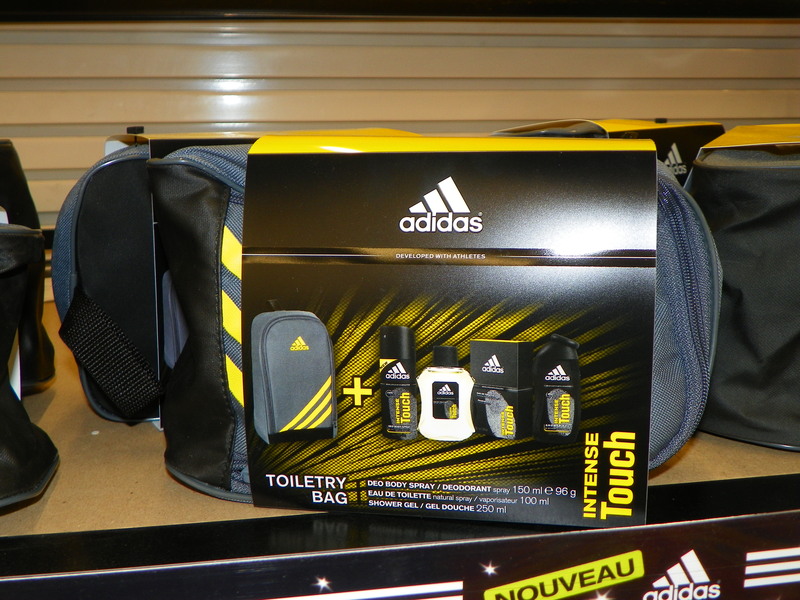 Adidas, the famous sports equipment brand, is offering a gift on purchase promotion in French supermarket stores this month. They are giving away free branded toiletry bags. The bag, a black and striking yellow masculine design, makes the perfect finishing finishing touch to this practical, low budget Christmas present for men.